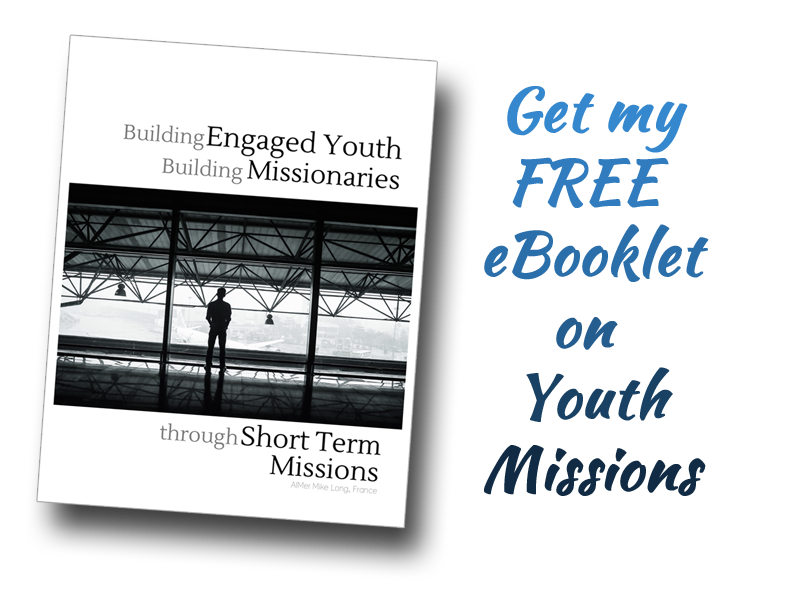 AIMKids Missionary Moments are designed to be a resource for Sunday School Teachers / Youth leaders, to help kids relate to the life of an MK (Missionary Kid). They’re intentionally short because we know you already have a lot of material to cover. 5 Things that will change or have changed for us? House: Until our arrival in France, we will have lived in the same house for our whole life and had never moved. Soon we will be living in the missionaries’ house, so we have to be extra careful, because it’ll mostly all be their furniture & stuff. Church: Our church at home is about 300+ people, with about 40 youth and 100-110 in Sunday School usually. When we arrive, our new church will have 25-30 people (depending on the Sunday), 8-10 kids (including us) and NO GIRLS (besides Sophie). Friends: All of our good friends will still be at home in Canada. We’ll be able to text back & forth and sometimes FaceTime them, but it’s not the same and sometimes we’ll get lonely. The next nearest church is 2.5 hours away so it’ll be hard to get to another youth group sometimes to have more church friends. Neighborhood: At home we lived in the city and knew our neighbors for our whole life and there were friends who lived close. We could walk to the donut shop and grocery store but in France we’ll be a little farther from downtown and we’re not so familiar so usually mom & dad will have to take us. Language: This is a biggie! Everyone speaks English at home, but in France pretty much everyone only speaks French. We speak some French because our mom & dad spoke it at home, but sometimes it’ll be tiring to always try to understand. – Pray that our church grows so more people & more kids know Jesus. – Pray that we make some friends in our city. – Pray that God helps us to improve in our French. If your students have specific questions, please done hesitate to email us and we’d be happy to respond specifically. Please let your kids know that by praying for us regularly, THEY TOO are part of taking Jesus’ love to France… they’re part of missions!